DESIGNATED DRIVER TICKETS DO NOT INCLUDE ANY WINE OR BEER TASTING OR A WINE GLASS. Sip your favorite wines and savor all the gourmet foods for an additional 60 minutes (Enter at 12pm, not 1 pm) at this years Beachside Wine Festival. Early Entrance Tickets DO NOT include admission to VIP Pavilion. Ticket price includes all wine and food samples and an 18 oz keepsake wine glass. ONLY 300 Available! GATE PRICE: $80 Hit the grassy, palm-lined Lantern Bay Park to experience the quintessential California wine tasting event at our Orange County California Wine Festival grand finale. Ticket price includes admission at 1:00pm, all wine and food samples and an 18 oz keepsake wine glass. 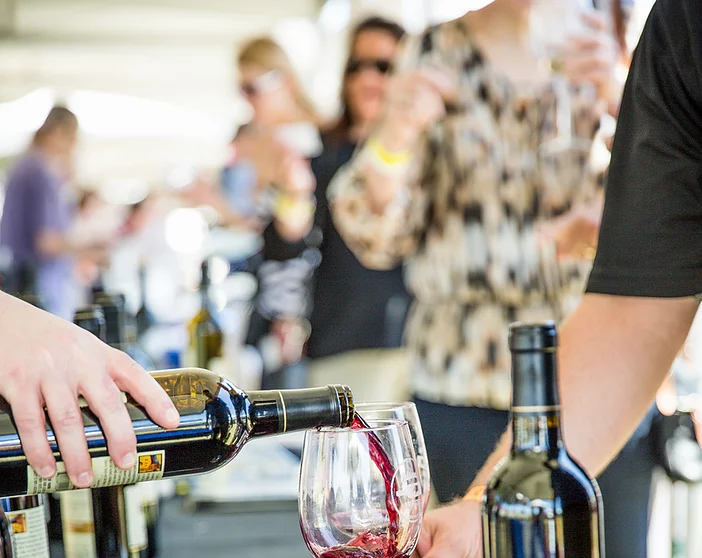 DESIGNATED DRIVER- Hit the grassy, palm-lined Lantern Bay Park to experience the quintessential California wine tasting event at our Orange County California Wine Festival grand finale. Ticket price includes admission at 1:00pm, food samples , live music and beautiful ocean views. DESIGNATED DRIVER TICKETS DO NOT INCLUDE ANY WINE OR BEER TASTING OR A WINE GLASS. *Ticket price includes all wine and food samples and an 18 oz keepsake wine glass as well as 12pm access to Beachside Wine Festival, exclusive admission to VIP Pavilion in the oceanside Blue Room & Terrace, reserve level wines, cheeses, tables, chairs, shade. SELL OUT EXPECTED! SAVE $65 BY BUYING THE 2-DAY PASS! Terms & Conditions: You must be over 21 years of age to attend any California Wine Festival (CWF) event. NO infants, strollers, or animals allowed on event grounds. No Exceptions. Tickets are non-refundable. All sales are final. Guests are invited sip on fine wines and taste a variety of delicacies surrounded by the ocean at the beautiful Dana Point Yacht Club. This is an elegant VIP event for true fine wine lovers, located in one of Orange County's most beautiful coastal cities – Dana Point. The limited number of tickets sell out quickly (due to the rarity of the wines being poured). A champagne reception is just the prelude to an evening of sampling hard-to-find trophy wines to an adoring crowd dressed in their finest casual/elegant resort wear. The quintessential California wine tasting experience – sun, sea, food, wine and music – all come together at this sun-splashed wine fest overlooking the beach on a grassy, palm-lined Lantern Bay Park. 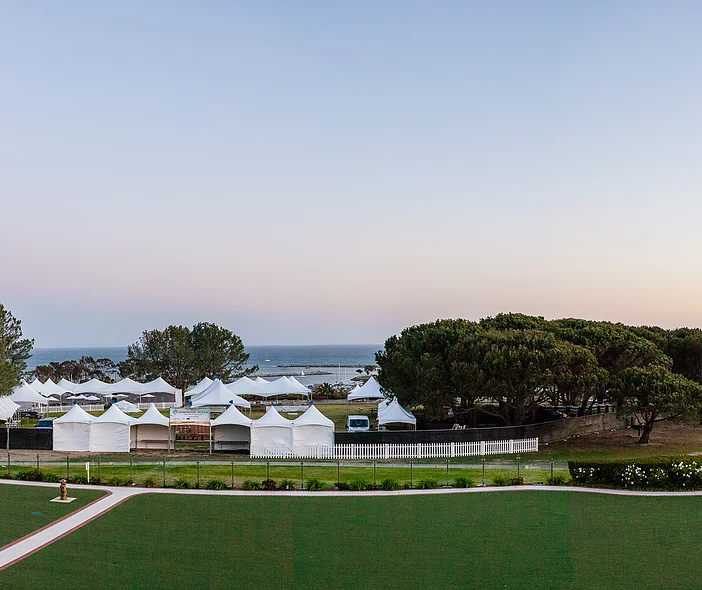 By 1:00 pm the event is in full swing at this Camelot-like white-topped tent village next to the sparkling Pacific Ocean. Wine lovers find hundreds of fine wines, regional craft brews and a dizzying variety of foods to sample. Artisanal cheeses, breads, olive oil, as well as , salads, chocolates and more! A live band keeps the beat for this all-day feast for the senses where wine and food are king and queen. "Don't miss California Wine Festival, - one of the largest outdoor wine festivals in the state!" 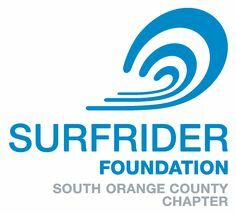 The 2019 California Wine Festival - Orange County will benefit The Surfrider Foundation South Orange County Chapter. The Surfrider Foundation is a non-profit environmental organization dedicated to the protection and enjoyment of the world's oceans, waves, and beaches for all people, through conservation, activism, research and education. We strongly encourage attendees to take a taxi or have a Designated Driver. Please contact us at info@californiawinefestival.com to purchase a designated driver ticket.